This is a summary of opinion polls conducted by the Levada-Center, Russia’s Gallup, since February 2009, and continues on from the first post. Along with the original post Lovely Levada, this series constitutes a unique English-language reference for social trends under late Putinism as expressed by the Russian people themselves, rather than the limousine liberals, pro-Western ideologues, and Kremlin flunkies who claim to speak for them. 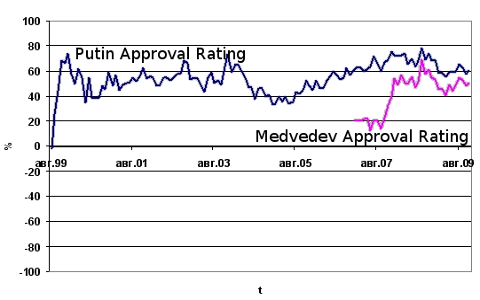 Unless stated otherwise, all opinion poll data refers to 2009. 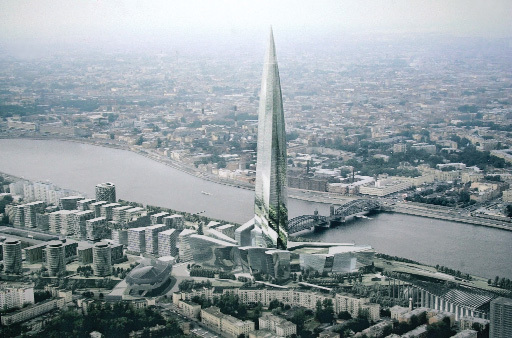 2009, Dec 28: Around 60% of Russians are against the building of a sleek 400-meter skyscraper, the Okhta Center, in central St.-Petersburg, while only 21% are for. Myself, I’m of two minds about it. Though I like skyscrapers, I don’t want to see any public money going to Gazprom ego-building. Dec 24: The Western tradition of celebrating Christmas on December 25th is not catching on in Russia, with only 4% of Russians saying they will do so this year. Nor are perceptions of the reform era getting any better. In 2009, only 29% of the population considers the post-1992 period to have been good for the country, whereas 49% disagree. Furthermore, only 23% feel they personally benefited from those reforms, while 50% disagree. However, a majority feel, nonetheless, that some kind of “perestroika” was necessary to reform the Soviet regime. Today, the majority of the population – 51% – would like to see more state involvement in the economy and social protections, though only 15% would like a return to the Soviet model (down from 20-30% before 2006), and an even smaller 10% favor a course of reducing government and focusing on creating on more opportunities for entrepreneurs. 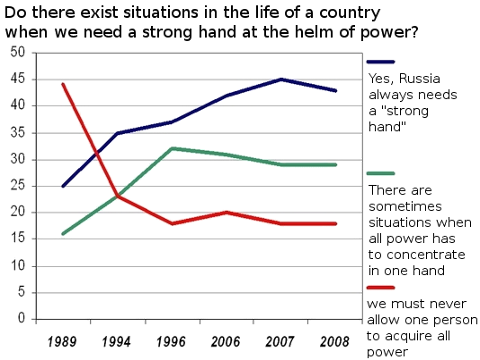 Summing up 2009, although Russians considered the year to be worse than 2007 or 2008, there is no evidence the economic crisis had an inordinate effect on their subjective perceptions of success. Dec 21: There remains a strong nostalgia for the Soviet past, or what I like to call an “imagined past of a bright socialist future”. Around 60% of Russians still regret its collapse, so no wonder it is returning to its future. Furthermore, the majority believe that Soviet collapse was not inevitable (a viewpoint backed by some theoretical work). Proposed remedies for the future include closer, voluntary ties between the post-Soviet republics (27%), a Eurasian EU-like confederation (22%), a neo-USSR (16%), independent coexistence amongst the former Soviet republics (14%), and the continuation of the CIS in its current state (13%). Dec 17: Putin and Medvedev continue dominating the political scene, and retain very high approval ratings. On the question of “tandemocracy”, 55% believe Medvedev is merely continuing Putin’s policies, and 48% believe power is shared equally between Medvedev and Putin (while 30% believe Putin is the more powerful player pulling the strings). Dec 16: A stuffy, but insightful, and non-Kremlin-friendly, essay by Lev Gudkov, Levada’s founder, on The Nature of Putinism (in Russian). Dec 15: Attitudes towards the West remain in a deep rut, its conduct during the South Ossetian War having left an irreparable cleft. Regarding the US, despite the election of Obama, Russia’s attitudes towards the US are today about as favorable as in November 1999, after the NATO bombing of Serbia (however, the depth of the animosity should not be exaggerated; for real anti-Americanism, one can do little better than stroll through the “Arab street” in the Middle East”). 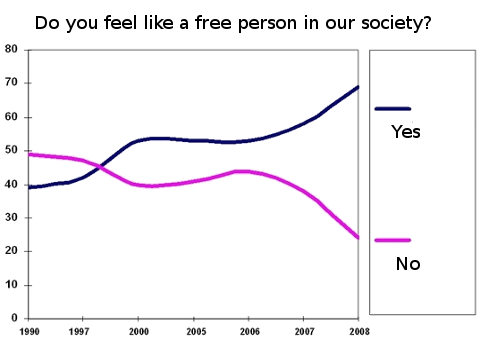 Attitudes towards the EU are also on a long-term secular decline, though the slope is much less steep than for the US. Attitudes towards Georgia remain highly negative, which is not surprising given the Georgian President Saakashvili’s deepening megalomania. Equally not surprising is that Belarus under Bat’ka remains far more popular than Ukraine, as demonstrated in this comedic song about “cutting off Ukraine’s gas“. Dec 7: A majority of Russians support, to some extent, the slogan “Russia for Russians!“, though there hasn’t been any major upward trend in the past decade. So the theme about the uniquely prevalent nature of Russian racism should not be overplayed. Also, 61% believe the state should check unrestrained migration into Russia, and 35% do not feel too comfortable about the influx of foreign laborers from the “Near Abroad”. Neither of these have seen major changes in the past decade. Nov 26: Very detailed historical information on approval ratings for Russia’s political forces – as of November 2009, President Medvedev had 74%, PM Putin had 79%, and the government had 50%. 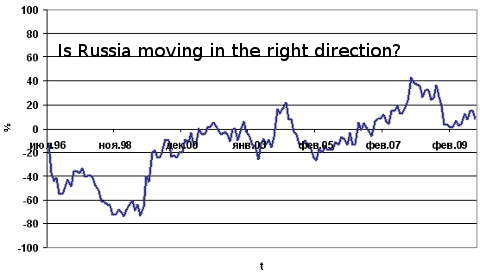 The economic crisis made nary a dent. Furthermore, more Russians than not think Russia is moving in the right direction – again despite the crisis. This should all give pose to those who say that Putin’s popularity and Russia’s recent turn towards greater self-confidence was based exclusively on high oil prices and economic growth. Nov 25: 63% of Russians think the situation in the North Caucasus is tense, but 64% believe it will remain stable during the next year. On the 15th anniversary of the First Chechen War, 43% think the Russian government was correct in its use of force to bring it to heel, whereas 11% believe it should have been granted full independence. Nov 20: Russia extends its moratorium on the death penalty, despite that most Russians support it. What is the main point of the death penalty for Russians? However, for some classes of crimes support for the death penalty is significantly higher than when the question is asked in a more general way. Some 47% of Russians would feel personally safer if they reintroduced the death penalty, whereas 39% disagree. Nov 18: Perceptions of subjective wealth have improved in Russia over the past decade, along with salaries and pensions. Today, far more shopping is done in big stores and supermarkets than a decade ago, whereas buying stuff on the streets is rarer. Again, not surprising given its economic growth. Below is a more detailed breakdown. Nov 6: Russia’s attitudes on the 20-year anniversary of the fall of the Berlin Wall – 63% are positive, and only 11% are negative. Nov 5: The Russia-Ukraine relation in detail, at the level of peoples rather than governments. What do Russians think about Ukraine, and Ukrainians about Russia? However, given the choice most Ukrainians would prefer (re-)integration into Eurasia than Westernization. Only 17% of Ukrainians would have voted to join NATO in October 2009, whereas 63% were against. Furthermore, 55% of Ukrainians prefer a union with Russia and Belarus, compared to 24% who would prefer accession to the European Union. This is one of the main reasons why it is likely that some kind of Eurasian Empire – be it an EU-like confederation or neo-Soviet Union – will be slowly but surely resurrected in the near future (as is indeed already happening). Nov 5: What is your opinion on the October Revolution for Russia’s peoples? Oct 29: Only 4% of Russians celebrate Halloween. Oct 27: Most Russians believe Putin represents the interests of the siloviks (27%), middle class (24%), oligarchs (22%), simple folks (21%), and his close friends (18%). Oct 23: 71% of Russians believe they need a serious opposition party, while 47% believe that no such parties currently exist (38% disagree). 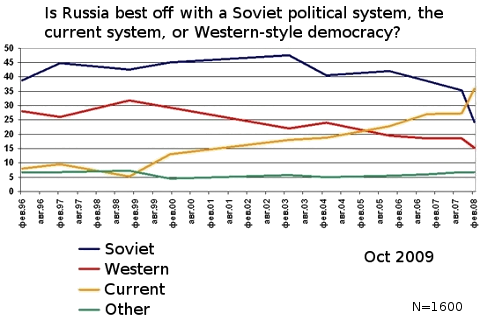 Oct 15: Russians on democracy – a series of very detailed and telling graphs. 33% believe Russia has some kind of democracy, another 33% think its democracy has not yet become firmly grounded, while 20% believe it is regressing. As of June 2009, some 57% believed Russia needs democracy, while 26% disagreed – these figures are changed from 66% and 21% respectively in June 2005. 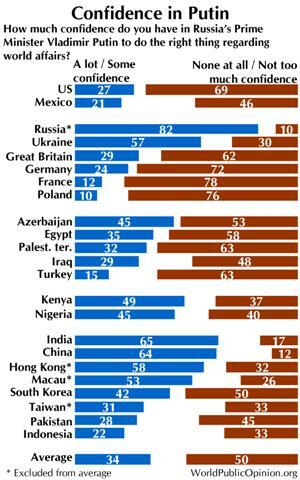 According to the polls below, it seems that Russians have recently come to truly believe in “sovereign democracy“. As of 2006, around 63% of Russians are basically “statists” – they believe the state should care about all its citizens and guarantee a fitting standard of living, whereas only 25% subscribe to the classical liberal position that the state should limit itself to setting and enforcing the “rules of the game”, and an even smaller 4% take the neoliberal view that government should minimize its involvement in its citizens’ economic affairs. These figures are changed from 71%, 19%, and 6% respectively, in 2001. Most Russians support a strong, centralized Presidency, and in contrast to the late Soviet period, support for what could be called “authoritarianism” has risen. The share of Russians believing that Russia’s rulers only look out for their “material wellbeing and career”, which once hovered at 50-60%, has since 2007 fallen to 20-30% – nearly equalizing with those thinking it is a “strong team of politicians, leading the country along the right road”. This is yet another illustration of Russia’s recent, quasi-spiritual transition from “poshlost” to “sobornost”. At the same time, the number of Russians considering themselves to be “free” in their society has increased under the Putin years. In 1990, 38% of Russians felt society had too little freedom, 30% enough freedom, and 17% too much freedom; in 1997, these figures were 20%, 32%, and 34%; in 2008, they were 18%, 55%, and 20%, all respectively. Ironically, the (perceived) decline in liberalism since 1998 has been accompanied by greater democratization, in that the state has moved closer to the “people’s will”. 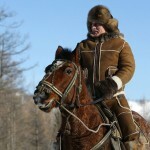 Only a tiny minority of Russians, 2-3%, – interestingly, the same percentage that voices approval for Russian “liberals” like Kasparov and Illarionov – have ever regarded Western-style democracy as a necessary “savior” of Russia – many have the practical attitude that it has many useful things to offer (45% in 2008), or that it is not suitable for Russia (30%) or outright dangerous (12%). All in all, this is all in stark contrast to the Western media theme that Putin, the tyrant, is forcefully re-submerging an unwilling populace back into its totalitarian past. See Armageddon, Putvedev is Russia’s White Rider, and Russia’s Sisyphean Loop for detailed discussions of these phenomena and trends. Oct 9: Russia’s opinions on the US BMD program (ballistic missile defense). Whereas only 8% think the European installations are being built to defend against Iran, some 69% of Russians believe that it is to ensure its military superiority over Russia, pressure Russia geopolitically, or defend against Russian nuclear attacks. Regarding America’s plans to postpone the European BMD sites, some 41% think it is a temporary concession, 16% think it’s just a move in a geopolitical “trade” between Russia and the US – while only 21% consider it a “victory” of Russia. The vast majority of Russians believe that the US will continue with its ABM program. In other words, Russians are cynical about US intentions – and almost certainly correct to be so. Oct 1: Russians have a great deal of skepticism towards the 1993 bombing of the Duma in Moscow – they perceive it as being evidence of purely inter-elite struggles, a sign of national decline, etc. Some 81% of Russians say both were wrong, both were right, or N/A. Sept 8: After a peak in 2002, TV viewership is on a slow decline in Russia, especially amongst the young who have the Internet. However, it remains extremely prevalent, with 86% watching it daily or almost daily. Sept 4: A slim majority of Russians do not consider Stalin to be a “state criminal”, or mostly responsible for the repressions of the 1930’s-50’s. Around half consider the USSR had some resemblances to Nazi Germany, whereas another half disagree. This illustrates the highly binaried view of Russian society towards Stalin – the despotic Messiah who led and ruled them like the God of the Old Testament. Whereas 55% of Russians think it important to improve relations with Japan, especially in the sphere of hi-tech, most of them (82%) are against doing this by handing over the southern Kurils. Sept 3: Around 70% of Russians support 1) the teaching of subjects at elementary schools in non-Russian languages and 2) the teaching of the controversial course “The Foundations of Orthodox Culture”. Aug 31: A majority of Russians continue going out to pick mushrooms at least once per year. Aug 26: The best Russian films of the last decade: The 9th Company, The Barber of Siberia, Admiral, Island, Twelve, Taras Bulba, Night Watch, The Turkish Gambit, The Irony of Fate 2, Brother, Love – Carrot, Bastards. 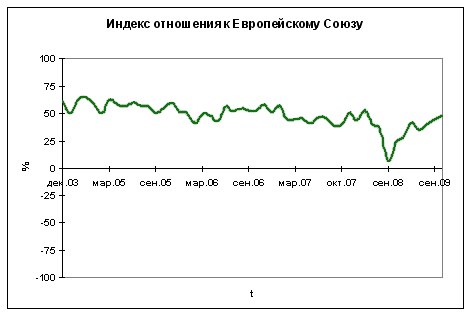 The 63% of Russians expecting a “second wave” of the economic crisis during autumn 2009 were wrong. Aug 24: In July 2009, some 34% of Russians supported the Molotov-Ribbentrop Pact (the August 23, 1939 non-aggression treaty between Nazi Germany and the USSR), 23% condemned it, and 44% didn’t really know or care. Attitudes towards it seem to correlate with those towards Stalin. Aug 17: Russians are thoroughly disillusioned with the events of the August “Putsch” of 1991, in whose aftermath the USSR collapsed – 42% think it was nothing more than an intra-elite struggle for power, 33% consider it a tragic event with ruinous consequences for the country and people, and just 9% believe it to have been a victory of democracy over the Communist Party. 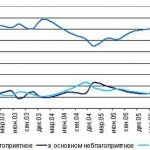 Aug 7: The increasing penetration of electronic devices in Russia. Do you have a cell phone? Do you use a personal computer? (yes if once a month or more; no if less than once per month). The latest Levada figures show that 25% of Russians use email. Jul 27: On the 10-year anniversary of Putin’s power, Russians credit him most with: increasing life quality, salaries, and pensions (22%); economic development (17%); raising optimism about the country’s future (9%); restoration of order and political stability (8%); and the strengthening of Russia’s international standing (5%). Jul 20: Contrary to some opinions, around 67% of Muscovites approved of the closure of the Cherkizovsky market (20% disapproved). Jul 1: Putin is most popular in Russia, India, China, and Ukraine; and unpopular in the West and “moderate” Islamic nations. Jun 30: Some 45% of Russians are opposed to selling Iran nuclear and missile technologies, while 29% don’t mind. As for North Korea’s nuclear program, 70% of Russians prefer to curtail it via diplomatic negotiation or sanctions. On the occasion of Barack Obama’s visit to Moscow, 57% of Russians thought relations hadn’t improved from the Bush-era nadir, and 55% are against cuts in their nuclear arsenal (bearing in mind that Washington is working on ABM). Jun 25: Though only 5% of Russians tried drugs and 18% know of friends or relatives who tried drugs, almost all – 97% – consider it to be a serious problem in Russia. Another 65% believe that trying a drug just once may have the potential to create an addiction. (However, Russia’s drug laws are surprisingly liberal, given the conservative attitudes described above). Jun 19: Why were Soviet losses during the Great Patriotic War significantly higher than Germany’s? Jun 10: Russia’s friends and enemies – countries scoring more than 30% are highlighted. Friends: Belarus, Kazakhstan, China, Germany, Armenia, India, Cuba, Azerbaijan, Kyrgyzstan, Uzbekistan, France, Tajikistan, Bulgaria, Venezuela, Italy. Enemies: Georgia, USA, Ukraine, Latvia, Lithuania, Estonia, Poland, Afghanistan, Iraq, Iran, Germany, Japan, Israel, China, Romania. May 18: Russians’ opinions about the Unified State Exam. May 5: 63% of Russians celebrate Victory in the Great Patriotic War, and the same percentage think the USSR could have won the war without Allied help (27% disagree). Apr 29: Another 57% celebrate May 1st, the labor holiday. 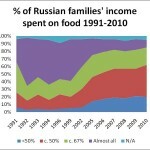 Apr 17: The 2008-09 economic crisis had a far smaller effect on Russians’ wellbeing than the 1998-99 crisis. While the percentage of the population barely making ends meet went up from 29% in July 1998 to 40% in December 1998, this figure remained stable at around 10% throughout the recent crisis. 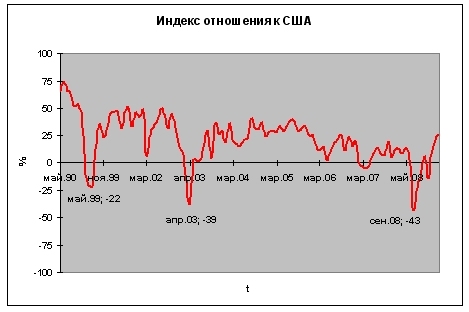 The main shift occurred amongst Russia’s “consumer class” (the ones who buy cars, PC’s, etc), whose percentage of the population tumbled by a quarter from 19% to 14%, and perhaps explains the reason for its large drop in GDP for 2009. The silver lining is that this implies inequality has decreased during the crisis. Mar 30: Opinions are highly split regarding conscription and the Army. 47% of Russians would like to retain mandatory military service, whereas 43% would prefer a full transition to a contract army. If someone in your army was obligated to perform mandatory military service, would you rather they served, or searched for ways to avoid it? Rather surprising, perhaps, considering the Russian Army’s reputation for hazing (dedovschina). However, its severity may have declined in the past few years, what with the shortening of the term of service from 2 years to 1 year by 2008 – this automatically removed the “grandfathers” from the barracks (conscripts doing their last half-year of service), who tended to be responsible for the worst abuses. Add in the increase in patriotic propaganda and the start of efforts to repress hazing, and this may explain the recent social “rehabilitation” of military service. Mar 3: More military questions and answers. Does Russia face a military threat from other countries? Is the Russian Army currently capable of defending the nation in the case of a real war threat from other countries?